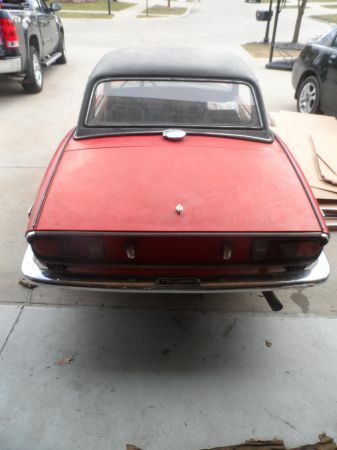 The Triumph Spitfire was a tiny, lightweight, two-seat sports car assembled in Coventry, UK from 1962-1980. A competitor of the Austin-Healey Sprite & MG Midget, the Spitfire was only available with a small inline four cylinder engine and didn't get the bigger inline sixes available to the GT6 or TR6. Don't worry, lots of folks over the years figured out how to shove the extra two cylinders into the Spitfire body and save you the time/trouble. 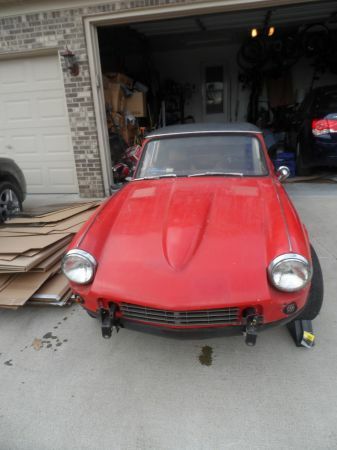 Find this 1969 Triumph Spitfire with GT6 engine in Mount Clemens, MI for $1100 via craigslist. The Spitfire was penned by noted Italian designer Giovanni Michelotti who also designed the BMW 1600/2002 New Class and number of full sized trucks for DAF & Scammell...hey, you gotta feed the kids right? We think the Spitfire is beautiful car and its proportions are classic, but build quality is questionable and rust isn't a matter of when, but how much. This Mark III Spitfire would have originally been powered by an inline-4 putting out a measly 68 horsepower, but now has a 2.0 liter inline-6 that should make something around 105 horsepower, depending on the year of the donor car. This should considerably improve performance for the 1500 lb Spitfire and allow it to keep pace with modern traffic. 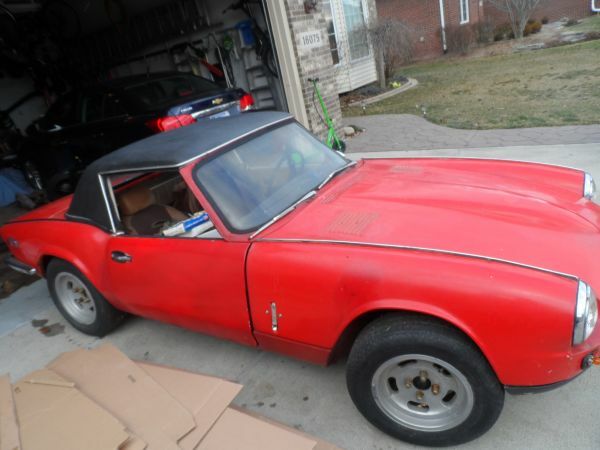 This hardtop equipped convertible is offered at a great entry price for someone looking to pick up a project without taking out a second mortgage or selling any organs (pipe, internal, etc). A few weekends of sorting and a quick paint job might turn this into a real head turner.